If you have never heard of Ray Bradbury, one of the world’s most beloved writers, you are living on another planet. 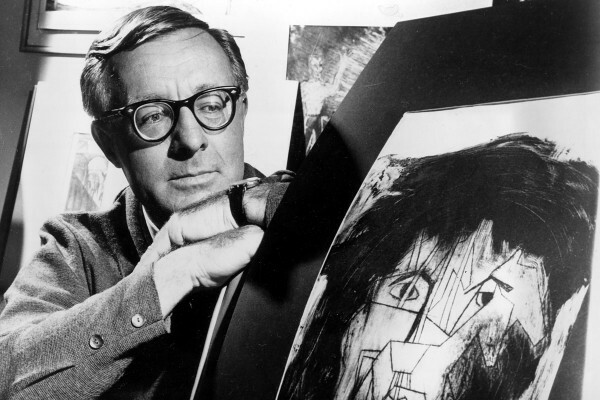 Moving to Los Angeles, CA from Waukegan, Ill in 1934 with his family, Bradbury quickly pursued a career as a writer, at the tender age of 11-years-old. He wrote 30 books and 60 short stories throughout his lifetime. As an adult, he joined the Los Angeles Science Fiction Society where he met the most interesting people. Bradbury was a legend and pioneer in Science-Fiction novel writing. Born in 1920, much of Bradbury’s time was spent in libraries until late Tuesday evening, June 5 when he passed away at 91-years-old. In recent years, Bradbury had been suffering from a stroke but had still produced several books, screenplays and poetry. Many of his writings covered subjects such as horror to mystery and fantasy to ethnic empathy about Irish, black and Mexican-Americans. More famously known for writing for the Sci-Fi Television Series (1959-1964) The Twilight Zone and his collection of short stories, “The Martian Chronicles,” (Published in 1951) and “The Illustrated Man” (Published one year later). “Libraries raised me. I don’t believe in colleges and universities. I believe in libraries because most students don’t have any money. When I graduated from high school, it was during the Depression and we had no money. I couldn’t go to college, so I went to the library three days a week for 10 years.” says Bradbury which was definitely not a fictional statement. He studied poetry and short-story writing in high school and instead of attending college, Bradbury sold newspapers. We all have memories of our parents and teachers reading to us, one of my favorites was growing up reading everything I could get my hands on. Becoming a thriving writer myself at 7-years-old and spending most of my time in a library, I can appreciate Bradbury and his passion to communicate through his writings. I was just 12-years-old when my 8th grade teacher, David Publicover of whom we called, Mr. P; endearingly, read us several of the short stories written by Bradbury followed by watching The Twilight Zone Series. The novel Bradbury was best known for; “Fahrenheit 451” was typed on a typewriter in the basement of UCLA’s Powell Library and published in 1953. 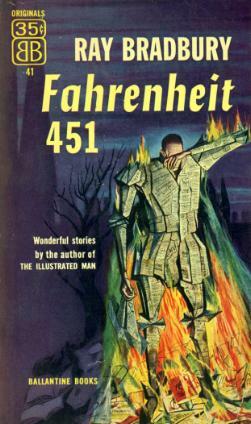 Bradbury’s book stemmed from the idea of book burning during World War II and Hitler. It covered two of Bradbury’s signature themes: the dangers of conformity and the importance of independent thought. The name of the book, “Fahrenheit 451” is the temperature at which paper burns while the book runs through a not too distant future where books are outlawed. Bradbury looked up to authors such as Edgar Allen Poe, H.G. Wells, Jules Verne and his favorite of all time, Edgar Rice Burroughs. This type of mental allowance applies our minds to visualize a world of so-called free will and disenchanted freedom. If our digital future that is upon us is the monster to end all that we cherish and preserve, then the things we hold onto, our books, individuality and skills will mean nothing to us as humans. These are the things that Bradbury has left us with to ponder, so while you have the time, pick up a copy of “Fahrenheit 451” and rediscover your love for words on paper by an author who meant the world to so many. Next Forget Traditional Cafes, Come to Quickly!